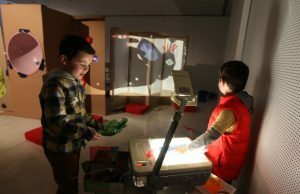 Suitable for all ages, although art lovers will get the most out of it. This is 2 buildings that seamlessly join the old with the new with a very impressive façade on the outside which is worth visiting even if you don’t venture inside! The shiny façade is mesmirising and unlike any other building in New Zealand. Not only can kids have fun looking at obscured reflections of themselves and the surrounds, they can also try to find the entrance door which isn’t that easy! Inside there are multiple spaces that have exhibitions which change 3 times a year. Len Lye is one of NZ most influential artists especially as a sculptor and film maker. Since the Govett-Brewster was home to his first exhibition in 1977, his work has always featured here. Depending how interested your kids are in art, will determine how long you spend here. 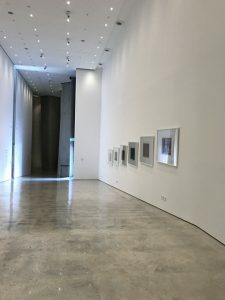 As with all galleries, you’ll need to make sure that kids don’t touch the artworks on display or disturb other viewers during film showings but otherwise families are free to explore and the light, airy spaces of this gallery make it a great place to be if you’re looking to escape a rainy day outside. You can leave coats, bags, food etc at the reception area for free. There are baby change facilities and a café (Monica’s) onsite which also gets recommended for breakfast, lunch and dinner. 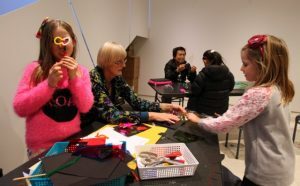 Specifically aimed at kids and families, there are free drop in art sessions here every Sunday (1-3pm) and during the school holidays (2 sessions 10-12 and 1-3pm). The themes change daily for these sessions, so you can return multiple times to get creative! All drop in sessions are held in the Todd Energy Centre within the art gallery. If you have a baby and are visiting, it’s worth checking the website for when their next baby-friendly talk is on (babies are kept occupied with toys, while caregivers can enjoy a talk about an exhibition of artwork). Address: 42 Queen Street, New Plymouth. Paid street parking on the roads around the gallery. Open: Monday, Wednesday, Thursday, Friday, Saturday and Sunday 10am – 5pm Closed Tuesdays and Christmas Day.